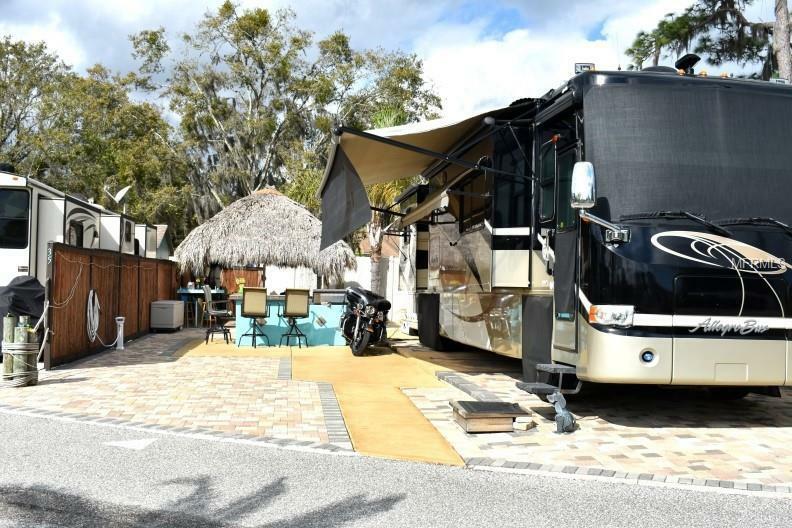 THIS IS ONE OF THE BEST RV LOTS IN PARADISE PINES RV PARK. The owner has absolutely pampered this extra large lot making it one of the cleanest improved lots available.. 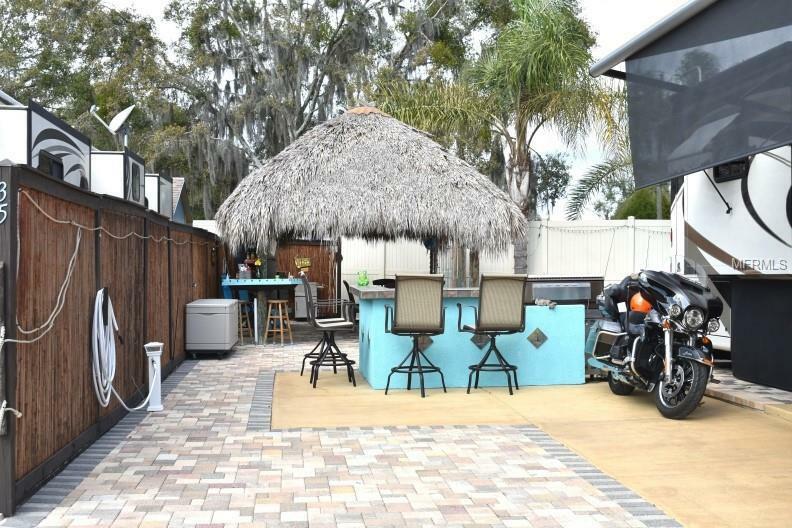 There is over 1,690 sf of custom pavers, lots of poured concrete for parking the RV and car. 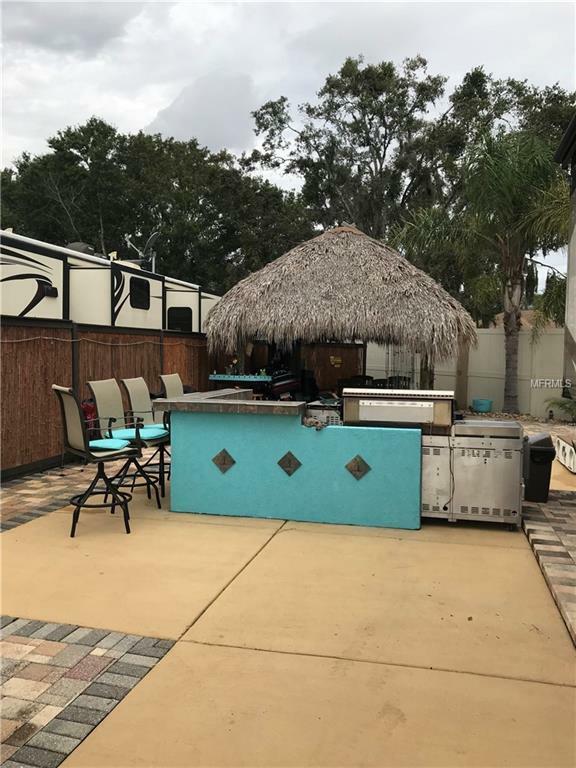 The owner has made this a fun lot by custom building a large Tiki Hut fully equipped with an outdoor TV, beautiful Teak table + 6 matching chairs, large refrigerator, portable stainless bar sink, beautiful custom bar w/under counter refrigerator (removable) + bar stools, Utility shed, outdoor toilet and shower (private area), Extra large stainless BBQ grill and a fabulous "dance pole" with base. This is an perimeter lot with 3 privacy sides and is perfect for either short term or long term rentals, or for your primary residence, or Rent it when not using it. 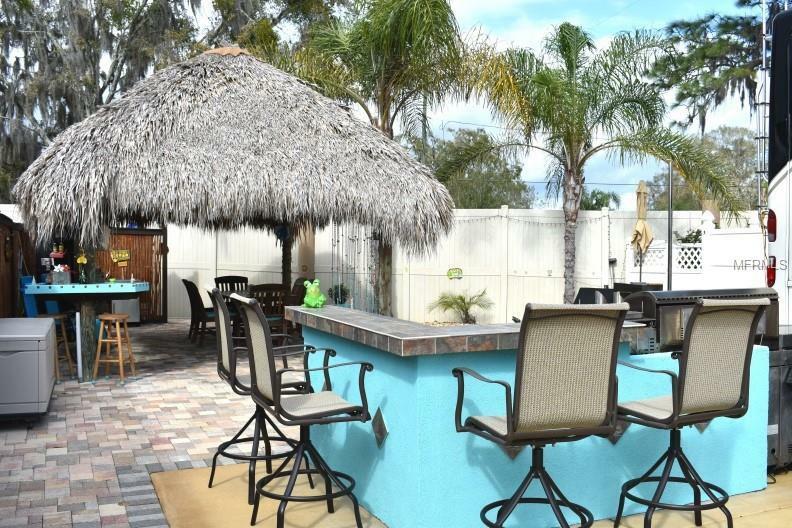 Enjoy the fantastic heated pool and entertaining area where owners/guests host community functions in the large covered area. There is also a really great Clubhouse where the owners can have gatherings or just hang out. Full coin operated laundry, his & her bathrooms and showers. This is also where the mail is delivered to individual keyed boxes & a bulletin board keeps the owners updated & allows for owner postings. FREE high speed WI-FI, DVD Theatre, Library & pet friendly. This is one of the nicest AANR nudist RV parks in the country. Application & approval required prior to occupancy. You'll love the journey! All lot measurements are approximate & should be verified. Pet Restrictions Please Consult The Rules And Regulations And Condominium Documents Regarding Pets.